..:: Shamel SMART-Q (Ticketing and Q-management system) | ShamelTech|services ::..
Shamel SMART-Q an Integrated Multimedia Queue Management System In a world where customer service is imperative for all businesses to function, a poor congestion of queues is the last thing needed for effective business transactions. An unplanned influx of customers without adequate service not only creates customer frustration but create inefficiency within the work place. This unpredictability is often too late to handle. Shamel SMART-Q is a major breakthrough in multimedia queuing management system. The system is designed not only as a tool to solve queue congestion. 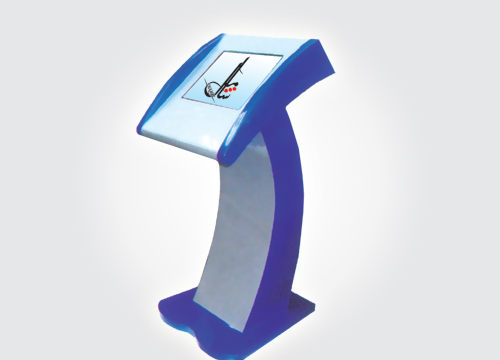 The system allows for faster organization of queuing and customer service with its non-linear system. Customers no longer have to stand in a line waiting for their turn to be served, as they can sit comfortably in the waiting area without having to worry about missing their turn. Shamel SMART-Q system is different to other queuing management systems. The system not only allows for a more effective customer service, but it analyses daily customer service transactions for an improved company performance. This is achieved through the advanced technology of reporting functions at both localized and centralized level.